The figures could belong to a lost tribe, discovered by a wayfaring anthropologist and preserved in photographs through the ages. 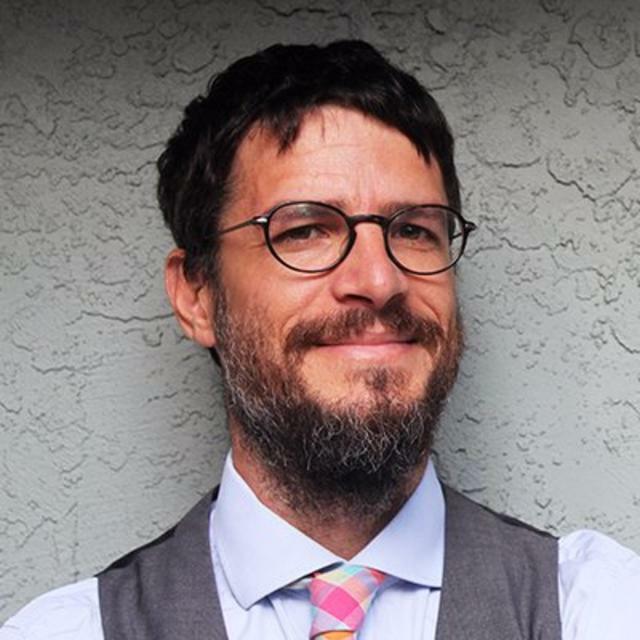 But the images are no more than 12 years old. 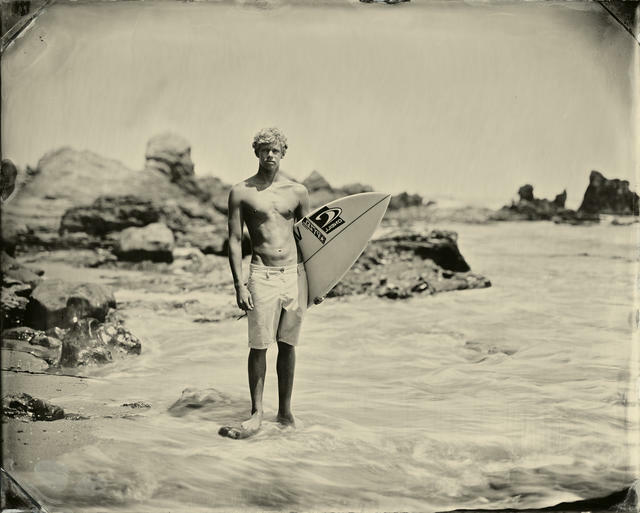 Joni Sternbach has made a unique art form of surfing photography using the primitive process known as wet plate collodion. 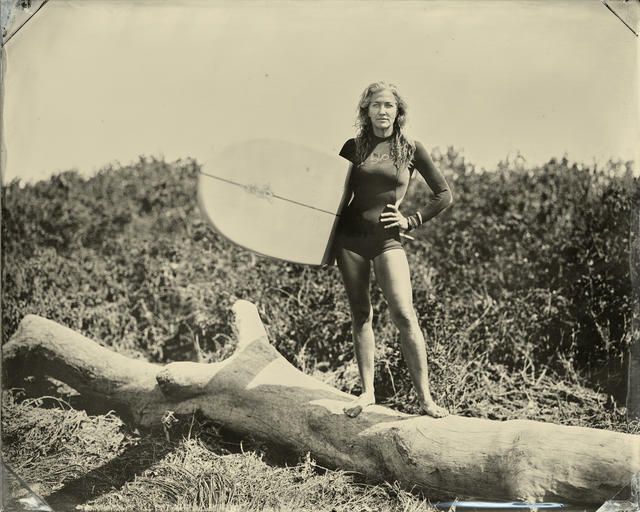 The idea originated as she was taking pictures of the ocean one day and asked a passing surfer to pose for a portrait. The result, she said, blew her away. 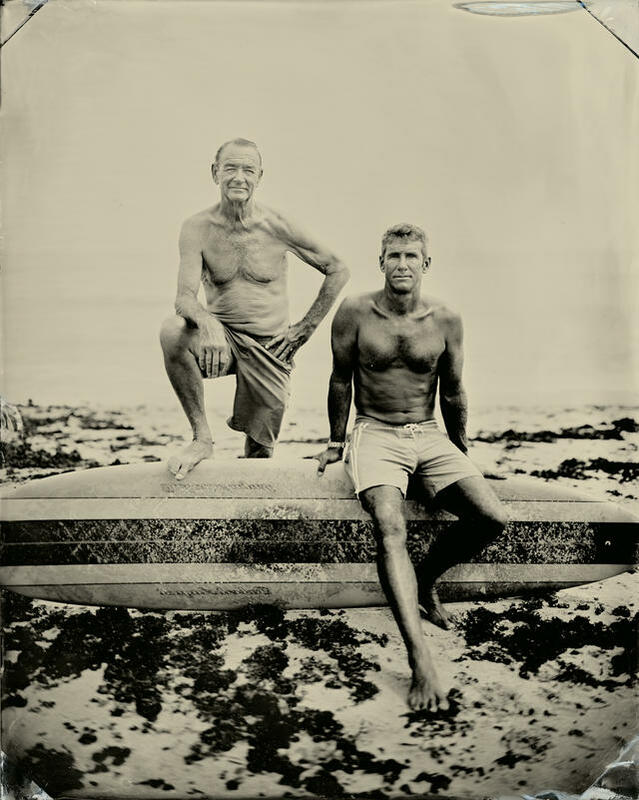 "The whole thing about surfers is they are energy — 100 percent energy,” Sternbach said. "And you feel that when you look at the pictures." 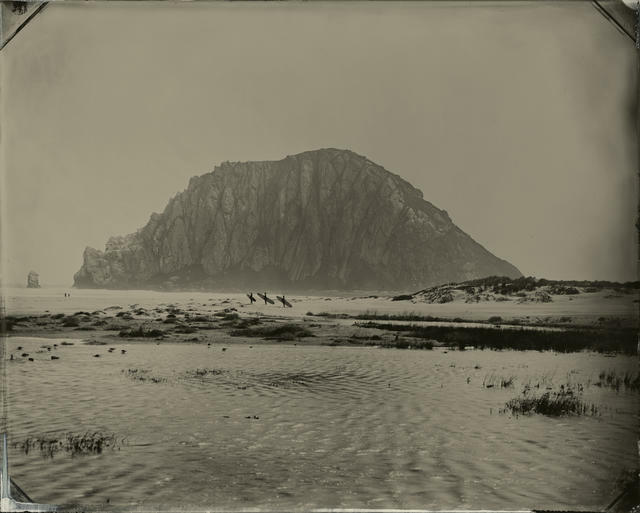 Sternbach has since shot at beaches across the country, including numerous breaks along the California coast. 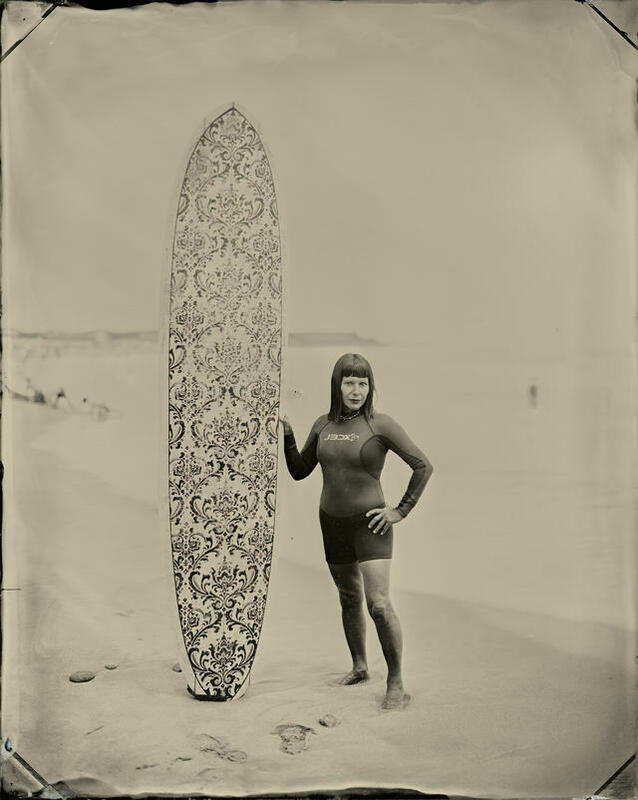 The photographs are tintypes, thin metal images coated with collodoin that she creates right there on the sand. She used a large, wooden camera, baths of smelly chemicals, and a portable darkroom that sits on a folding table. 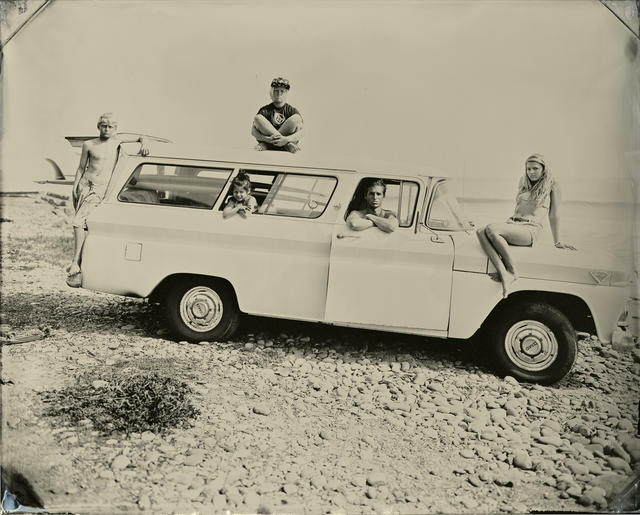 The surfers are a mix of professionals and everyday wave-riders, coaxed into standing before a stranger's camera. More often than not, they linger to watch Sternbach work and talk about photography and surfing. The encounters, she said, are often enchanting for both artist and subject. "It's a really beautiful way to be in the world," she said. 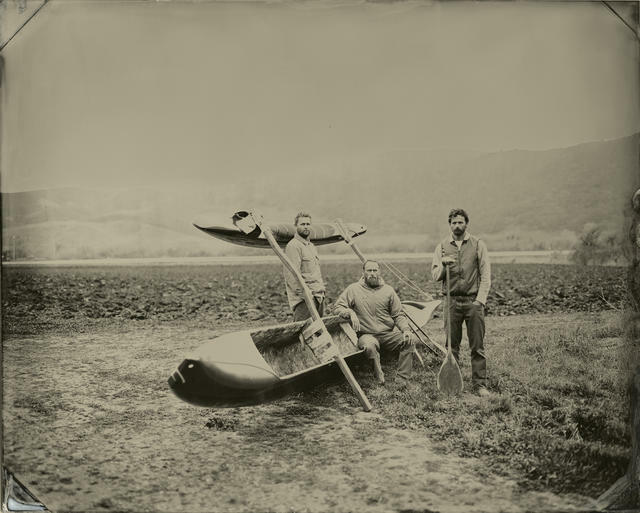 Sternbach, who is represented by Von Lintel Gallery in Los Angeles, shared some photographs from the project, titled "Surfland." See more of her work at her website. Mark + Emily, Montauk, N.Y.
Robert + Wingnut, Montauk, N.Y.